(NaturalNews) The fact that "climate change" used to be called "global warming" -- that is, after it was called "global cooling" in the mid-1970s -- should be indication enough that the climate alarmists are using every propaganda trick in the book to convince you that everything you do in the modern world from driving to work to turning on your lights to heating your home in the winter is contributing to the planet's demise. Now, so desperate are the global masterminds to control the minds and attitudes of the masses regarding this subject that they have taken to censorship -- again -- in order to stifle any dissent. The latest example comes via the British Broadcasting Corporation. According to Britain's The Telegraph, BBC journalists are being sent to courses in order to stop them from inviting "cranks" onto programs to air their "marginal views." The BBC Trust recently published a progress report regarding the network's coverage of scientific topics; the BBC was criticized in 2012 for giving too much air time to critics who oppose supposedly non-contentious (i.e. already "settled") issues. 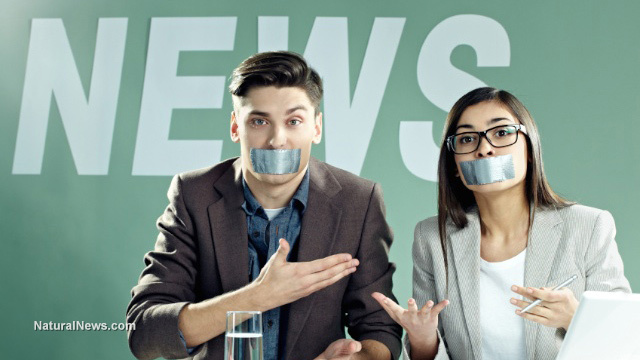 The report found that there was still an 'over-rigid application of editorial guidelines on impartiality' which sought to give the 'other side' of the argument, even if that viewpoint was widely dismissed. "The Trust wishes to emphasise the importance of attempting to establish where the weight of scientific agreement may be found and make that clear to audiences," wrote the authors of the BBC report. "Science coverage does not simply lie in reflecting a wide range of views but depends on the varying degree of prominence such views should be given." In particular, the Trust said that man-made climate change was one issue in which too many unqualified critics had been given too much air time to voice dissent. In April, the BBC was accused of misleading viewers regarding climate change and creating a "false balance" by allowing global warming skeptics who the Trust claims were "unqualified" to have enough time to voice their dissent. In a highly critical parliamentary report, the broadcaster was attacked for muddying the waters and distorting the debate, with Radio 4's Today and The World at One programs singled out for particular denunciation. The BBC's determination to give a balanced view has seen it pit scientists arguing for climate change against far less qualified opponents such as Lord Lawson who heads a campaign group lobbying against the government's climate change policies. Andrew Montford, who operates the Bishop Hill climate skeptic blog, former children's television host Johnny Ball and Bob Carter, a retired Australian geologist, are among some of the climate change skeptics who have appeared on the BBC. According to the report, producers for a September edition of The World at One regarding the latest United Nations Intergovernmental Panel on Climate Change (IPCC) research project -- which purported to determine with "95 percent certainty" that man-made climate change is occurring -- could not find a single scientist to dispute the findings, so they decided to go with Carter. On the program, he derided the research as "hocus-pocus science." The producers either did not know about, or did not care to contact, experts like Anthony Watts of the blog Watts Up With That, or access any of the peer-reviewed climate-change skepticism at ClimateDepot.com, a facts-based site sponsored by the Committee for a Constructive Tomorrow. What climate alarmists don't care to acknowledge is that there are a number of scientific gaps and outright falsehoods in the "research" that they insist "proves" what is thus far unproven, and so-called "skeptics" are merely pointing out those discrepancies.